Ahh, the festive season is finally here! 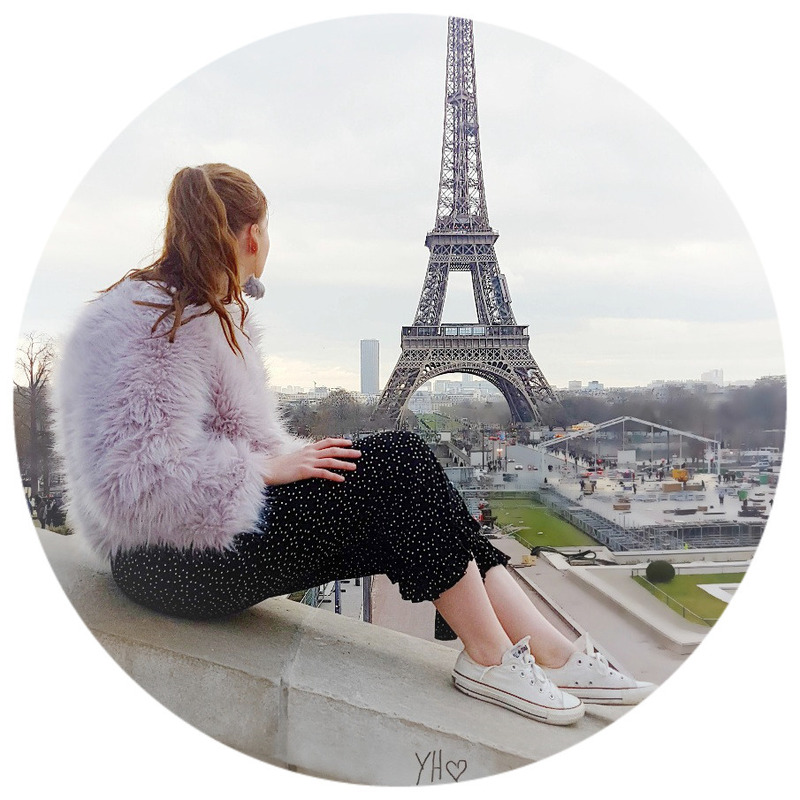 I love winter, it is all about the sparkle and shimmer for me so, what better way then to update my makeup routine!? Today I am going to share with you all My Festive Makeup Essentials that'll really get you looking like a Christmas snowflake or angel! Chanel Les Ombre Eyeshadow Quad 'Tisse Camelia'* | Chanel is a very special brand therefore what better time to wear it than the festive season. These ombre quads include 4 vibrant, pigment-rich eyeshadows that are so long-lasting and powerful on the lids. Including a highlight, two medium tones and a deep shadow to intensify the eyes. This palette is amazing for winter as you can create so many festive, shimmery, bold looks for both day and night. I love the packaging that it comes in, very sophisticated and classy. No.7 Highlighting Stick | I highlight my face all year round but when it gets to Winter I swap my powdery highlights for a more thick, creamy one. The no.7s highlighting stick is such a creamy, easy to apply stick that gives you amazingly strong highlight that pops up in photos lovely. This always leaves my makeup looking incredibly healthy and in some ways more expensive too. Highlights are perfect for creating that Festive Makeup look as you will have such a healthy glow that sometimes winter can disguise away. Clinique Chubby Stick 'Curviest Caramel'* | Chubby sticks are my all time favourite sort of lip products. They glide on my lips so easy and always last such a long time without topping up or smudges. On those days I don't feel daring enough for dark lips, I like to wear this lip product from Clinique. This adds a pop of pink to my lips that lets them stand out, but not as bold and vibrant as my red. I love these and I definitely recommend them if you don't always like spending a great deal of time on your lips but want the flattering bold look. Chanel 'Arthur' Lipstick* | A classic red is a must for the festive season or a nice purple. The shade of this lipstick is such a staple to wear for all seasons, but the fact it's a high-end brand makes it a lot more special. Again I only wear this lipstick on special occasions because of its expense, but the consistency is incredibly long lasting and bold. I love everything about this lipstick. This sort of red can be dressed up or down also, but I personally love to style this with a black turtle neck dress. NARS Dual-Intensity Blush | I am a lot bolder with my makeup in Winter so I like to use darker blushers rather than pastel shades. This is one of my favourites because not only does it include 2 beautiful paired shades, it also adds an amazing shimmery glow to your cheeks. A little goes a long way with this blusher, you do not need a lot of it because both shades combined together add such a vibrant look. This again shows up amazingly in photos! Freedom Pro Priming Water* | To set my festive makeup off I like to spritz this priming water on top of my makeup. This can be used as a lightweight primer or as a top extra highlight. It hydrates your skin as well as gives you a boost of radiance, which is the look I like to go for in Winter. I use this as an extra highlight and I must admit it really does add radiance to my makeup and sets it off nicely ready for a party! 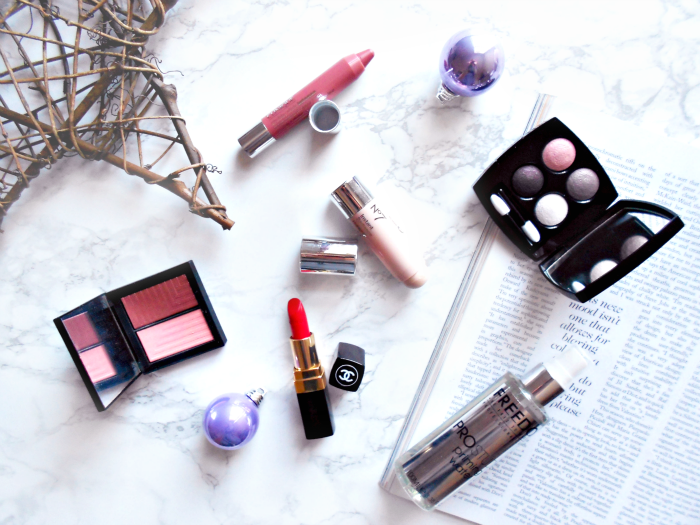 What is your Festive Makeup Essentials?? Loads of lovely picks!! I need to get my hands on the Freedom Pro Water! It sounds amazing! I've not seen the Chanel lipstick ever, Arthur looks like such a gorgeous shade too! It is amazing! I love it! That no7 highlighting stick sounds amazing. I love Mac brave in the winter! The highlighting stick sounds great! I feel like it would last longer than a powder which would be perfect for the holidays! It's so stunning, would love another! The Nars Blusher looks beautiful! Stunning Colours! I agree such an amazing blusher and thank you glad you liked it! That Chanel quad looks gorgeous! Doesn't it? I can't stop staring at it! The Nars Blush looks so gorgeous! You've mentioned so many gorgeous products! I would love more of them as they are incredible!